Tarazod Films & Media LLC: SOLD OUT! Mad City Chickens screens at 2009 Victoria Film Fest tonight! SOLD OUT! Mad City Chickens screens at 2009 Victoria Film Fest tonight! The people of British Columbia are on the cutting edge of the sustainability movement, and that movement includes the return of the urban backyard chicken. Mad City Chickens plays its 2nd BC fest by screening tonight at the 2009 Victoria Film Festival. 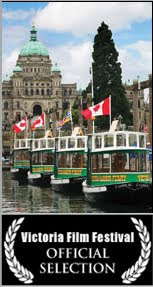 If you’re in the area, hop a ride on the ferry over to Victoria and take in the show! The screening is sold out, but Rush Line attendees will almost always find their way into the theater. Mad City Chickens screens 7:00 pm at the Odeon Theater.